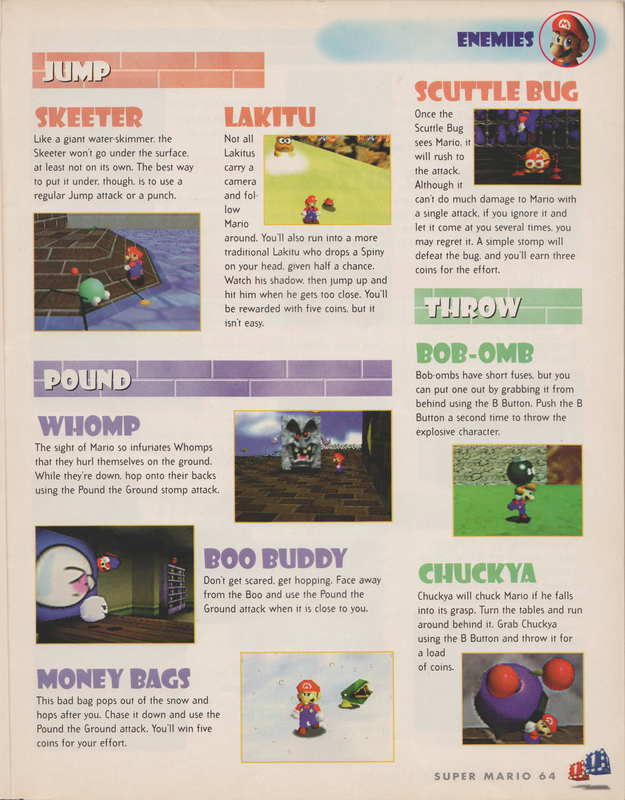 Moneybags (originally spelled Money Bags) are enemies that appear in Super Mario 64 and New Super Mario Bros.. In Super Mario 64, two appear in Snowman's Land. They are money purses with their zipper undone and have eyes and feet. At first, they take the form of a regular, usually noticeably misplaced, coin, but when Mario gets near one, it transforms into a purse-shaped creature that hops around. After four hops it somehow flattens up and then walks on the ground for a few seconds. Defeating one earns the player five coins. 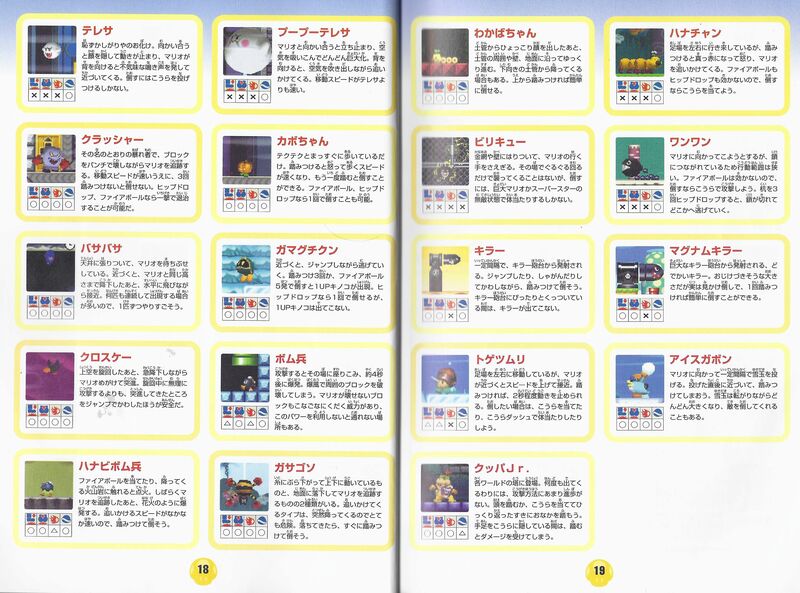 They are also featured in the Super Mario 64 DS remake and in the minigames Coincentration and Intense Coincentration. Moneybags' latest appearance is in New Super Mario Bros. They are found only in World 5-2 and World 6-3. In order to defeat one, the player must hit it with six fireballs, stomp it three times, or use either a Mega Mushroom or a Koopa Shell. For the first two ways, it gives one coin for each hit, and a 1-Up Mushroom upon the last, at which point it is defeated. They usually appear in areas with several pits, making it harder to chase the creature by these means. The minigame Coincentration also appears in this game with more 3D-rendered graphics. Subsequent games in the Mario franchise replace Moneybags with Coin Coffers, beginning with Super Mario 3D Land. A Moneybags as it appears in New Super Mario Bros.
Gamaguchi Kun Gamaguchi literally means "Toad's mouth", and is Japanese for a wallet that has one large opening, similar to that of a frog or toad's mouth. German Münztasche From Münz "money" and Tasche "purse, bag"
↑ New Super Mario Bros. 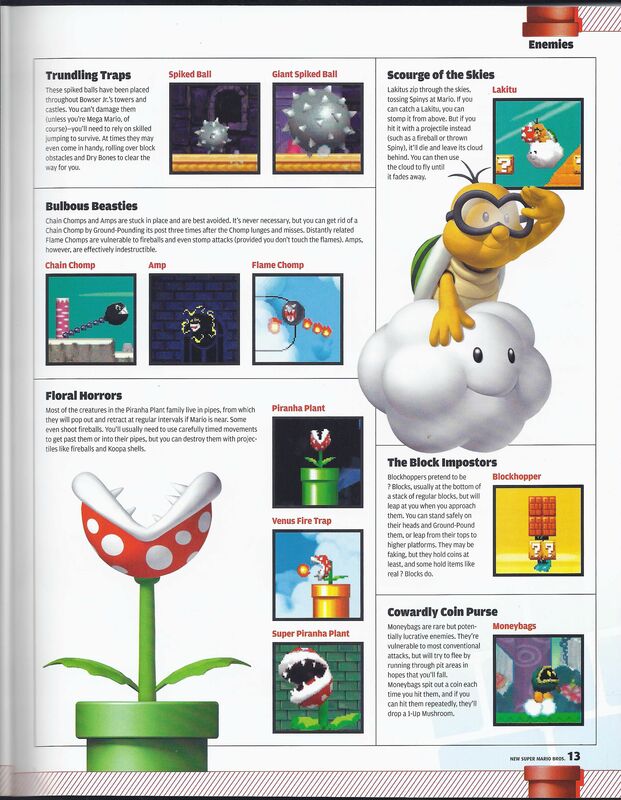 Player's Guide, page 13. ↑ New Super Mario Bros. Shogakukan book, page 18. This page was last edited on April 7, 2019, at 02:14.